/ Is Alcohol Bad For Your Heart? Is Alcohol Bad For Your Heart? Is alcohol bad for your heart and does it cause a heart attack or stroke? The drinks manufacturers spend a lot of money pushing the message that alcohol (in moderation) is good for your heart. We have to ask why! But for now, let me explain how booze impacts the cardiac system and then we will return to the motivations of the wine and beer producers. Blood is pumped around the system by the cardiac organ. Our very life force is pushed through the blood vessels via arteries, capillaries, and veins. The red stuff in our body is so vital because it provides oxygen, nutrition, and other materials to all areas of our body. This, of course, includes alcohol, which is assimilated immediately into the bloodstream primarily through the liver, stomach, and small bowel. Forget the old ‘red wine is good for your heart‘ routine – this is another myth peddled by the PR companies. Your cardiac system is negatively impacted by alcohol. At the time of drinking, booze can trigger a short-term increase in heart rate and blood pressure. This can sometimes be seen with a slight flushing of the face. However, people who are allergic to alcohol will go bright red and feel quite ill. However, In the long-term, alcohol consumption over the guidelines can lead to on-going increased heart rate. Also, hypertension weakens the heart muscle and causes an irregular heartbeat. All which can raise the danger of alcohol-caused cardiac arrest and stroke. When I was a heavy drinker I constantly had to visit the doctor because of my high blood pressure. When I quit drinking it went back to normal within three weeks! Heart rate is the number of times the heart beats each minute. Alcoholism can create an irregularity in the period in between heartbeats. Studies have discovered that routine heavy alcohol consumption can create episodes of minor cardiac arrest. Complications because of regular episodes of tachycardia, do differ depending on their regularity, duration, and seriousness, but it can trigger blood clotting that can lead to a major cardiac arrest or stroke. Alcohol & Increased blood pressure. Blood pressure is a gauge of the power hemoglobin puts against blood vessel walls. High blood pressure is when the blood is pushing with more force than usual throughout the arteries. Even one drink can see a short-term increase in blood pressure. Frequently consuming alcohol over the smalled of levels can cause alcohol-related high blood pressure. It is most likely there are several components which induce booze to elevate blood pressure, and studies have revealed that a reduction in consumption can decrease blood pressure. I certainly found this to be true. High blood pressure can cause hardening and thickening of the veins and is a risk factor for cardiovascular disease. Medical professionals recommend having no more than two regular drinks on any day. Medical researchers have discovered the consumption of greater than a couple of (regular) alcoholic beverages per day can induce an instant increase in blood pressure. The heart is critical to getting oxygen and other nutrients around the physical body. It achieves this perfectly by creating the pressure for blood to circulate all around the body. A series of valves ensure the blood only circulates in just one way. The frequency and pressure of the hearts contractions change depending on the requirements of the body. Sitting on the sofa watching TV does not demand as much oxygen to the muscles as going for a run, and so on. The anatomy of the cardiovascular system is complicated, but the heart’s ability to contract is due to the unique tissue layer within the heart wall. Standard heart tissue is called myocardium. Injured or damaged heart muscle is called cardiomyopathy. 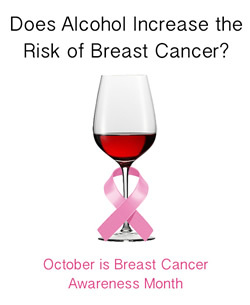 It is a fact that heavy alcohol use can lead directly to alcoholic cardiomyopathy. Dilated cardiomyopathy leads to a weakened cardiac organ. This causes the four heart chambers to expand and grow, resulting in weaker contractions. This renders it more difficult for the hemoglobin to flow all around the physical body to meet demand. Cardiomyopathy may eventually result in congestive heart failure, which is when the cardiac organ doesn’t push enough for the requirements of the body. At this point, you may pass out, suffer a heart attack and in severe cases even death. A change in heart cadence is called an arrhythmia. Arrhythmias may develop due to changes to the cardiovascular system’s electrical system. Alcohol can bring about this change but which may also be caused by obstructed signals, abnormal pathways, irritable heart tissues, medications, and other stimuli. A friend of mine once had a trip to the emergency room after he drank ten cans of Red Bull in a single sitting. He honestly thought he was about to have a heart attack. These sorts of stimulus and alcohol cause something called tachycardia. Tachycardia cause arrhythmias and arrhythmias may cause heart attack and stroke. The occurrence of severe cardiac cadence disruptions has been now been proved to be directly linked to the overuse of alcohol. Sometimes referred to as ‘holiday heart’ these disruptions were found to be more recurring after weekend breaks or times of the year like Xmas, Thanksgiving or New Years. These times of year are famous for their increased use of alcohol, coincidence? Is alcohol bad for your heart? Well, your cardiac organ needs oxygen so it can continue pumping fuel to the muscles. 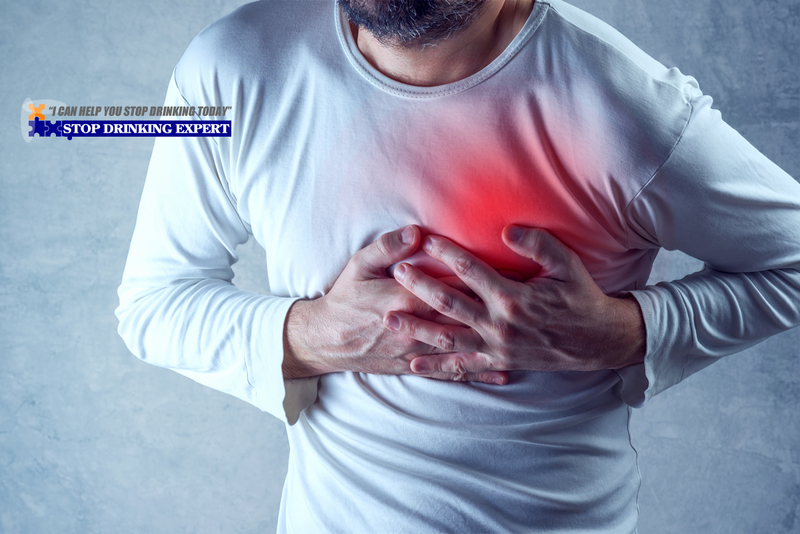 A heart attack is when an artery delivering oxygen to the core muscle is diminished or cut off entirely. This prevents the heart muscle from getting oxygen. The blood flow to the heart may be obstructed because of a progressive build-up of plaque, lipids, and LDL bad cholesterol, this causes a narrowing of the coronary passages. Any form of alcohol use disorder can raise the amounts of lipids in the blood. Individuals with acute triglycerides frequently have higher degrees of LDL bad cholesterol levels and reduced degrees of good cholesterol. 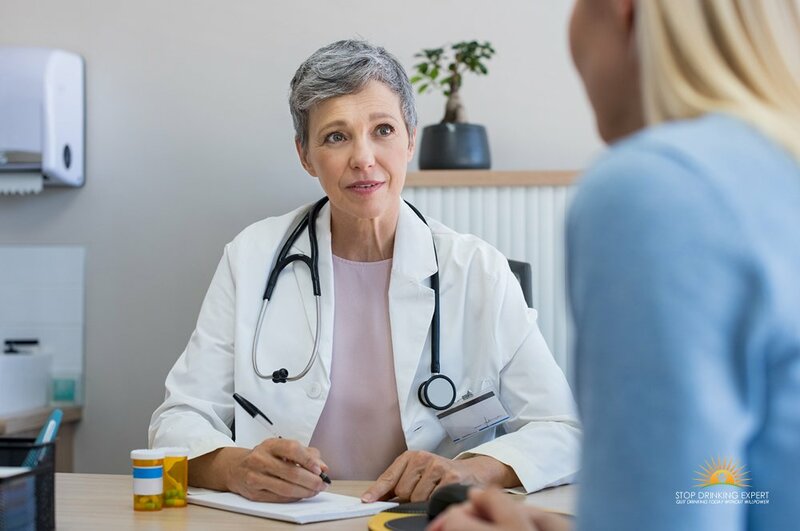 Elevated levels of LDL cholesterol can obstruct veins and if a bit of plaque dislodges, an embolism form and a heart attack or stroke may result. Alcohol consumption can increase the danger of two kinds of strokes happening. Often people are much more afraid of having a stroke than either heart attack or even cancer. Both result in an interrupted blood flow to brain tissue and could lead to a loss of motor function and sensation features. A stroke can also damage various other areas and systems in the physical body including the skeletal frame, muscular system, respiratory system, digestive and urinary tracts. 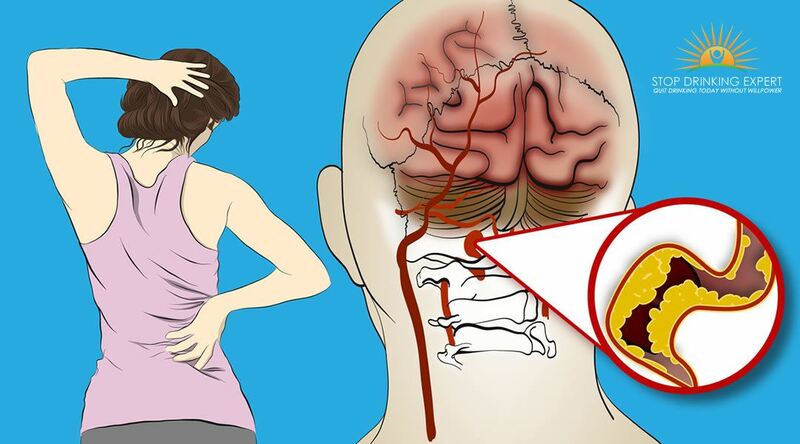 This is when an artery supplying blood to human brain tissue is obstructed. This obstruction can result from a clot that has developed in the artery or from a fat bead that has broken off that becomes lodged, blocking it. Cause an embolism, formed because of uneven heartbeat and weakened heart tissue. Trigger high blood pressure which can result in a fat entering the bloodstream and getting stuck in a brain artery. Increase the levels of fat (LDL cholesterol) in the bloodstream and increase the risk of clots. This arises from a vein supplying brain tissue, split and bleeding.31. Alcohol elevates the threat of hemorrhagic stroke because it can cause high blood pressure. High blood pressure can create impotent points within the vein surfaces. This includes those veins and artery in the human brain, increasing the odds of them breaking under the pressure of the blood flow. It is this bleed that will cause a blockage, which in turn will lead to a stroke. At the start of this blog post, I mentioned that the drinks manufacturers spend millions with PR firms to propagate the myth that alcohol is good for you. Do they really believe this? Well, did the cigarette companies believe all the lies they peddled in the past? It’s all about money at the end of the day. The alcohol producers do not care if their product kills you or not, they only care that you keep from buying it. I believe they spread a health message about alcohol that is exactly opposite of the truth, purely to muddy the water. Essentially if there are enough conflicting messages out there, we will come to meet on the middle ground. The drinks companies want us to compromise and conclude that alcohol does no harm but also offers no benefit. A happy medium, right? Alcohol kills someone every ten seconds! Is alcohol bad for your heart? Yes and for over two and a half million people every year, fatally so. That is the truth and if you are ready to kick this poison out of your life. 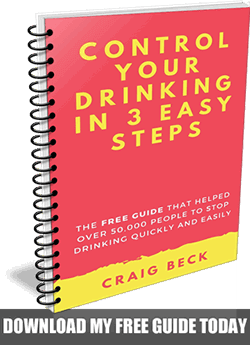 Click here for more information on the Stop Drinking Expert program now.